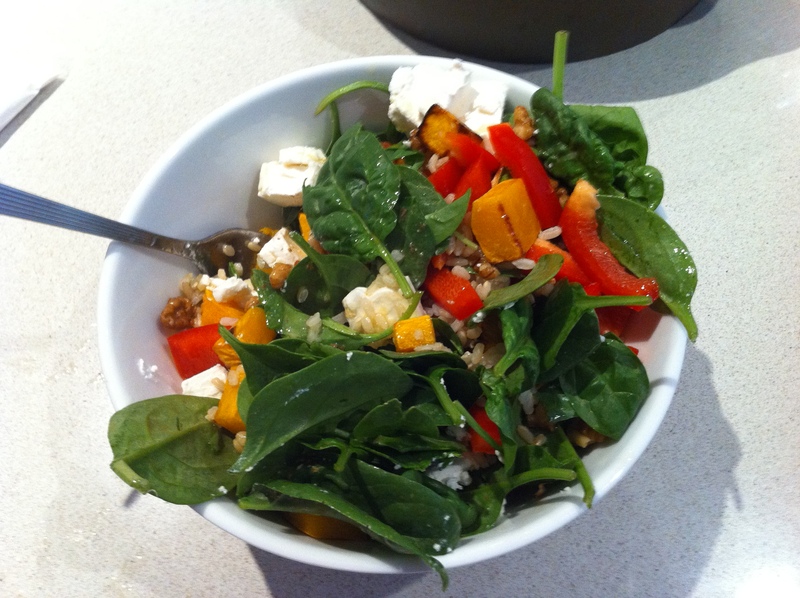 As noted in my Sumo Salad post I really wanted to try the Brown Rice Salad recipe on page 75 of Susie Burrell’s new book, ‘Losing the last 5kg’ so I made it for lunch on Saturday. The salad is very easy to make, very filling and tastes really good. It takes a little while to prepare as you have to roast the pumpkin and cook the brown rice so I made enough for a couple of lunches this week.